When you have even just a box or two of paperwork that you need to destroy in order to protect yourself, you have a few different options on how to handle this destruction. The most popular way to destroy your paperwork is to have it shredded. 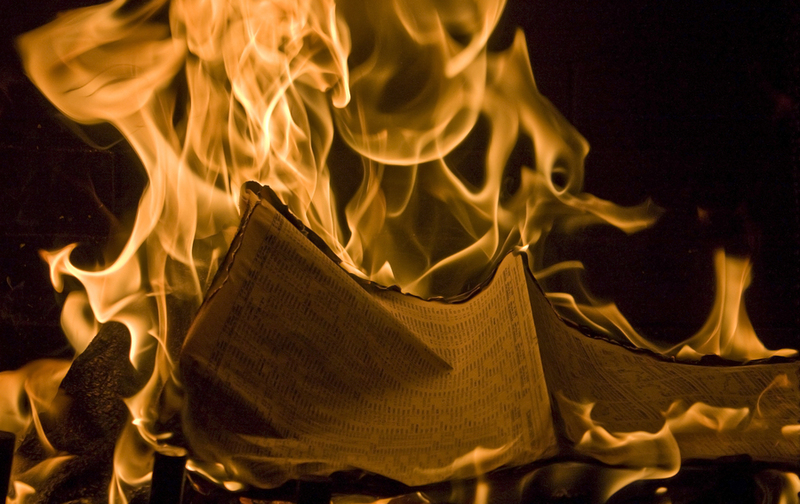 Another way that you can destroy your paperwork is to burn it though! There are a few things you will want to look at before you make your decision in regards to burning or shredding your paperwork. Burning – When you burn your paperwork you want to make sure that you have a place to start a fire outside (as to avoid the fumes) that is going to stay controlled and not get you into trouble. You also want to make sure that you have torn the paper up into pieces before you try to start and burn everything. When you put a stack of paper into a fire, it doesn’t catch nearly as easily as you would think. You also want to make sure that you are protected and don’t burn yourself! Shredding – You find a company that can either come to you, or that you can take your paper to. They shred everything for you and recycle your paperwork. There is no risk for burn, or fire damage. Making sure your documents are destroyed should absolutely be a priority, but sometimes it is easier and more efficient to have someone else deal with it for you! Shred Your Important Documents Today with Help from Shred Nations! There is no better way to protect yourself than to shred your old files with personal information. If you have a substantial amount of paperwork to shred, call us at (800) 747-3365 or fill out the form on the right for free quotes. Our local contractors can shred anything from 1 to 100 boxes in no time!